The Supreme Court today ordered Jayalalithaa aide Sasikala Natarajan whose conviction in the disproportionate assets case was restored yesterday, to surrender immediately after rejecting her plea for more time on health grounds. "We don't intend to change a word of that order, We intend to pass no further orders after directing her to surrender immediately. Hope you understand the meaning of immediately Mr Tulsi?" Justice P C Ghose told senior lawyer K T S Tulsi who represented Sasikala. In a massive setback to late Jayalalitha's aide Sasikala, the Supreme Court yesterday restored her conviction and the sentence of four years awarded by a Bangalore court in September 2014 and ordered that she be taken back back to jail immediately to serve out the remaining three years, 10 months and 27 days. 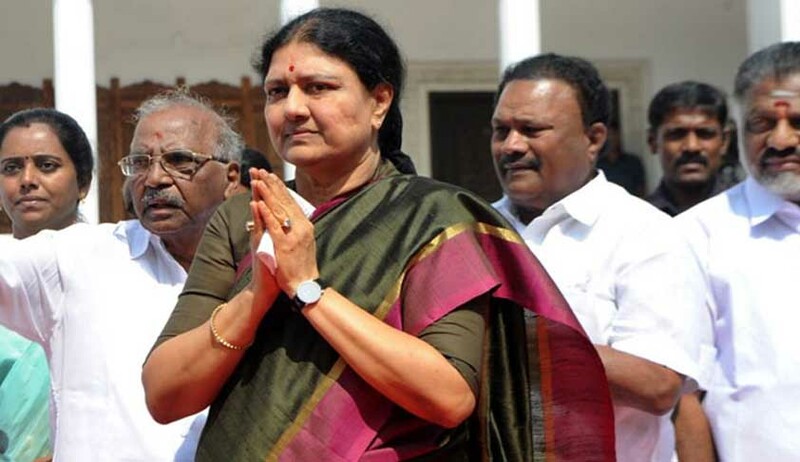 In a unanimous judgment on a 21-year-old case of disproportionate assets, which also bars her from holding public office for 10 years, a two-judge SC bench “unhesitatingly“ set aside the Karnataka HC's judgment “erroneously“ acquitting Jayalalithaa, Sasikala and two others in May 2015 and upheld the conviction of the trial court, which it found to be “flawless“. She now stands disqualified from contesting elections for 10 years.